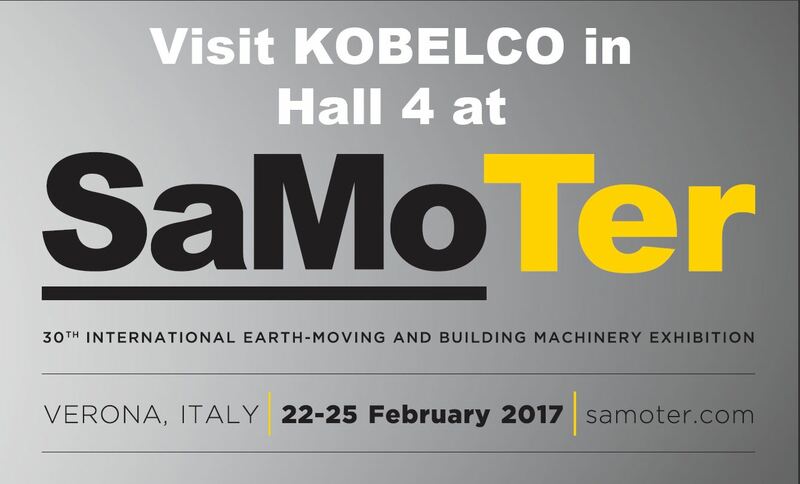 SaMoTer 2017 : Verona, Italy - Kobelco Construction Machinery Europe B.V.
ADDITIONAL INFO: SaMoTer, International Moving and Building Machinery Exhibition, is the leading event in Italy dedicated to the construction field. In 4 days, from 22. February to 25. February 2017, more than 400 exhibitors and 40.000 visitors from companies in earth moving, building and site sectors are expected.